I love Doctor Who, so any chance I get in my sadly boring workaday life to bring in more Who is greatly appreciated. What is more awesome than Doctor Who? The answer is nothing. That's where the wonderful crafty and slightly demented world of Etsy comes in. Some brilliant person there has made the best Doctor Who merch in the known universe. It's a tote bag, that gets bigger on the inside. How much does genius cost? $7. I'm buying like three of them. 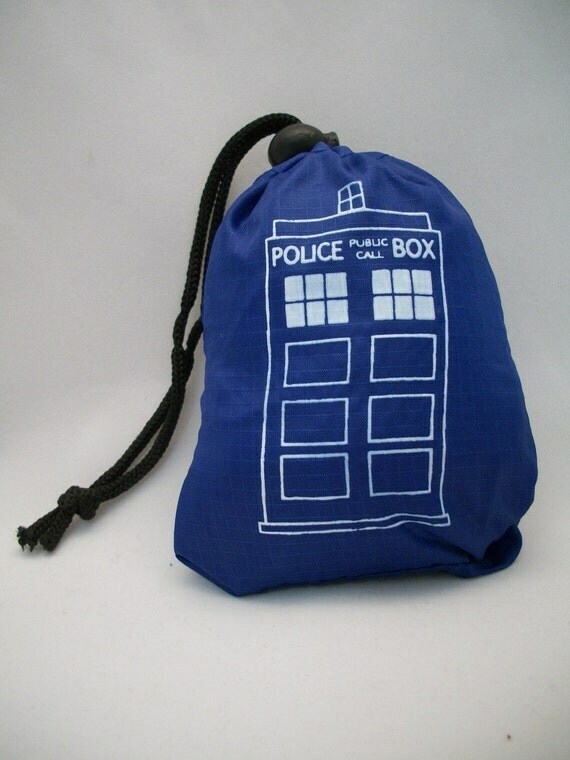 Etsy user Geekiana, who has a store chocked full of uber geeky shirts and bags, is the brainchild behind this simple yet awesome TARDIS shopping bag. When folded up, it's small enough to fit into a purse or pocket. 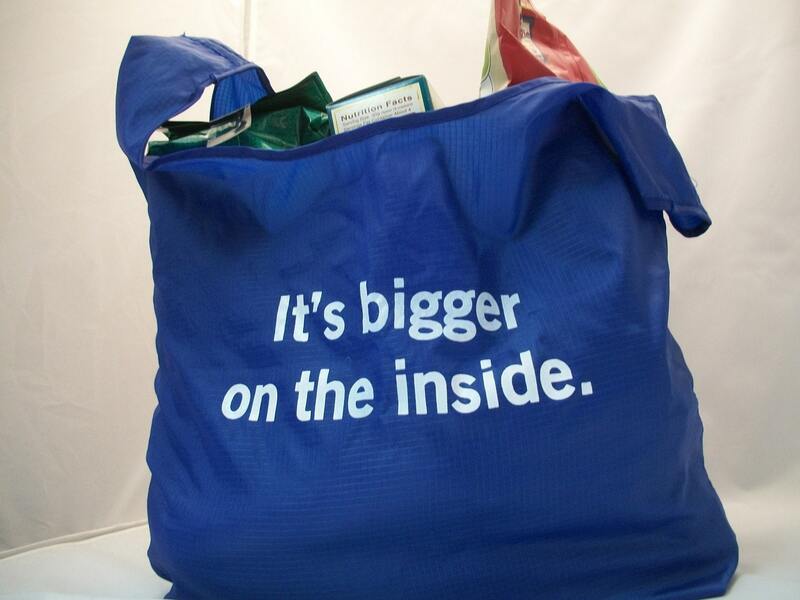 When unfolded, it's a giant bag that can lug groceries like a champ. See? Bigger on the inside!